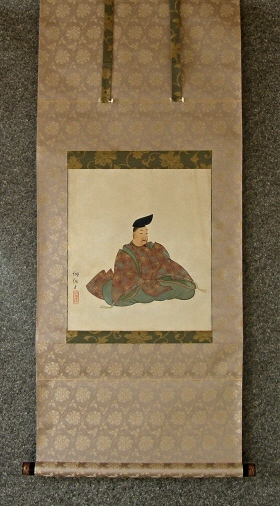 Title" Japanese Ancient Court Noble "
Description The scroll may have been re-mounted. There are some spots and stains on the painting part. 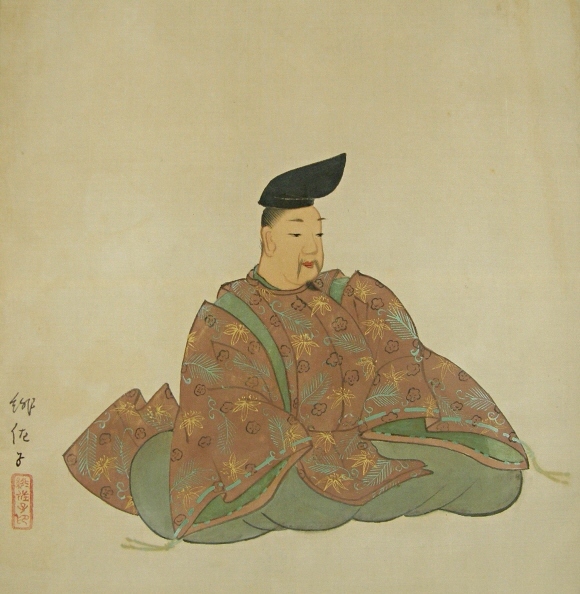 The motif is a Japanese ancient court noble (Kuge). 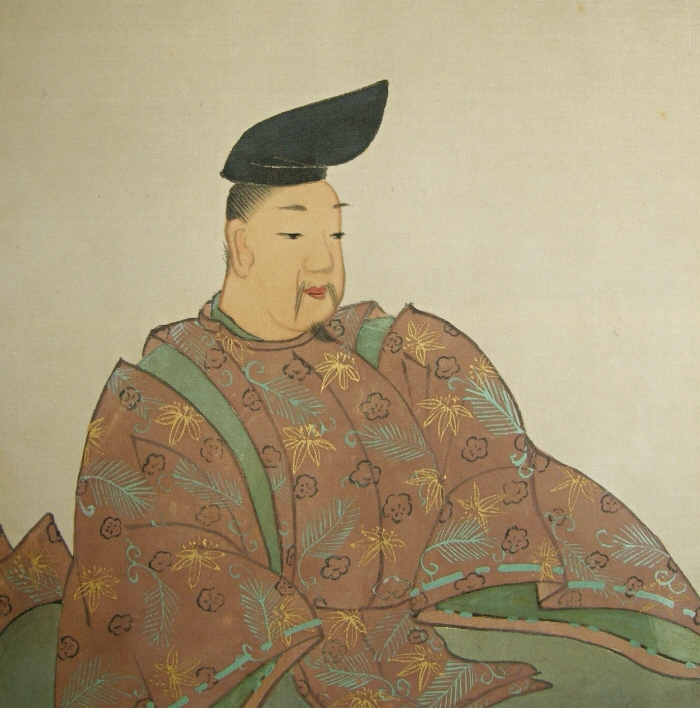 He might be Ariwara no Narihira (825 - 880), one of the Six best Waka poets (Rokkasen). 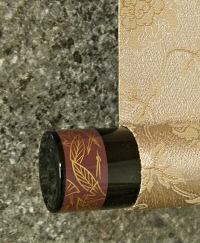 The motif is painted very well.